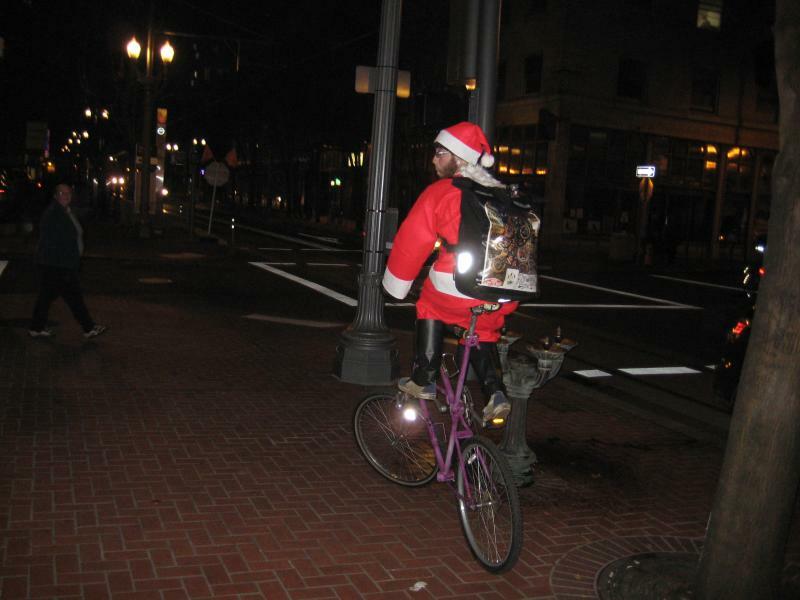 Walking back from The Rumble at The Roseland late on Saturday night I encounted Mr. and Mrs. Claus riding custom bikes in Old Town. I tried to snap a picture of Mrs. Claus but she said she couldn’t stop her bike, the only way she wasn’t tipping over was if she kept moving. 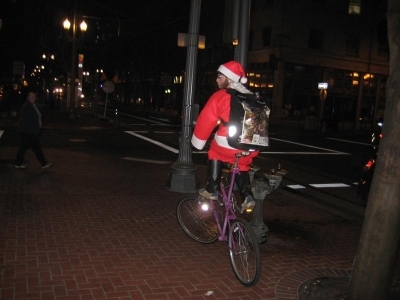 I did manage to snag this picture of a very Portland Santa Claus. Since I missed SantaCon this year, this is as close I’ll get to the wild and wonderful Portland Santas!